I don’t know how the White Sox themselves feel about it, but I do believe that it’s a good sign that Sierra has been in the starting lineup the last two days, and Robin Ventura should continue putting him in there. He deserves the chance to prove what he can do because there’s a chance Sierra could be a part of the White Sox future in 2015 and beyond. The same cannot be said for Dayan Viciedo. Even if Viciedo is still here come September, he won’t be back next year. Viciedo is eligible for arbitration this winter, and the odds are he’ll be awarded a pay raise from the $2.8 million he’s getting this season to be terrible. 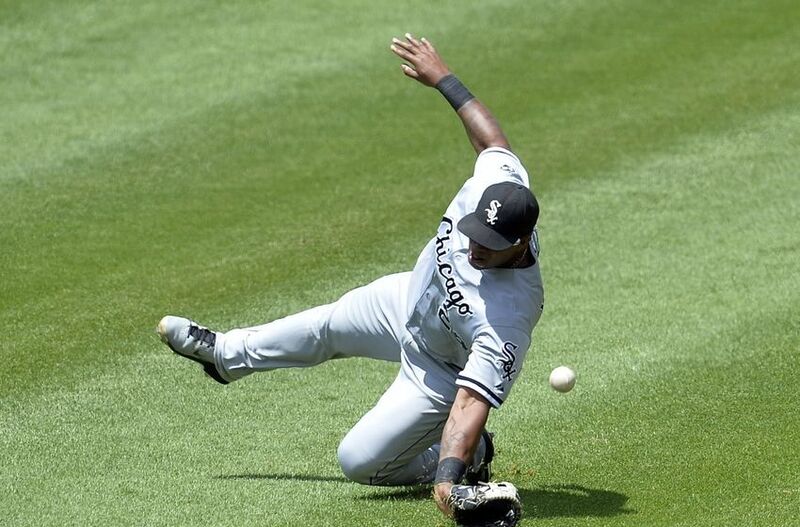 Now, while Viciedo has been terrible, I don’t hold it entirely against him. Coming into the season he was supposed to be part of a platoon with Alejandro De Aza in left field, but the injury to Avisail Garcia wrecked those plans. As I wrote before the season started, strictly being a platoon starter against lefties could have worked out wonderfully for Viciedo. Throughout his career Viciedo has been a much better hitter against lefties, and while he hasn’t been great against any arm this season, he’s at least slightly above average against lefties with an OPS+ of 103 this season. But the White Sox are going to find themselves in a bit of a tight spot in these next few weeks. Avisail Garcia is recovering from his injury quicker than expected, and after he was initially expected to miss the rest of the season, Garcia actually began a rehab stint in the minors this week. He can only spend 20 days on the rehab assignment, which means he’s going to be up in Chicago before September when the rosters expand, and that means the White Sox are going to have to open a spot on the roster. So whose spot is it going to be? I think it should be Viciedo’s. Dayan still has some folks around the team holding out hope for him, but I’m fresh out. He’s now had nearly 1,700 plate appearances in his MLB career, and at no time during those 1,700 PA has he shown a desire to change anything about who he is. Some will tell you that he’s still 25 and can burst out at any time. But you know who else is only 25? Moises Sierra. And Moises Sierra hasn’t had 1,700 PA to prove what he can do yet, but even in his limited time, he’s shown a lot more promise. Especially during his time in Chicago. Sierra’s only had 106 PA with the White Sox in 61 appearances this season, but he’s put up a slash line of .307/.330/.465 in that time. Compare that line to Viciedo’s .234/.283/.388 and, I mean, which one do you want to see out there every day? Sierra is also superior to Dayan Viciedo defensively in right field. That’s not to say Sierra is a great defensive player, because he’s not, but he’s miles better than the Choose Your Own Adventure novel that is Dayan Viciedo running down a ball in right field. Another point in Sierra’s favor is that while Viciedo is making $2.8 million this year, Sierra is making $504,700 and is under team control through 2020, and isn’t eligible for arbitration until 2017. So he’s not only giving you more production that Viciedo, but he’s doing so at less than 20% of the cost. I don’t believe that Sierra will ever be anything special. He has some of the same problems that Dayan does. In his short career he has a walk rate of 6.4% and a strikeout rate of 25.5%. Viciedo walks slightly less often at 6%, but also strikes out less at 21.8%. So I don’t expect Sierra to ever really become anything more than a fourth outfielder on a good team, giving guys a day off, or serving as a pinch-runner or defensive replacement. But those are things that Viciedo can’t do. Dayan Viciedo’s future projects as a designated hitter, and he’s simply not a good enough hitter to be one. So over this final third of the season it should be Moises Sierra getting the chance to prove himself, not Dayan Viciedo further proving what he can’t do. This entry was posted in Chicago White Sox and tagged Alejandro De Aza, Avisail Garcia, Dayan Viciedo, Moises Sierra, Robin Ventura by Tom Fornelli. Bookmark the permalink.